WASO- All things beautiful come from nature. Skincare crafted with respect for nature to address the needs of young millenials in their early 20s. No parabens. No mineral oil. No plastic micro-beads. Because less is not more. Its everything. In harmony with nature, Waso nurtures the skins natural powers to bring out your most beautiful, authentic self. 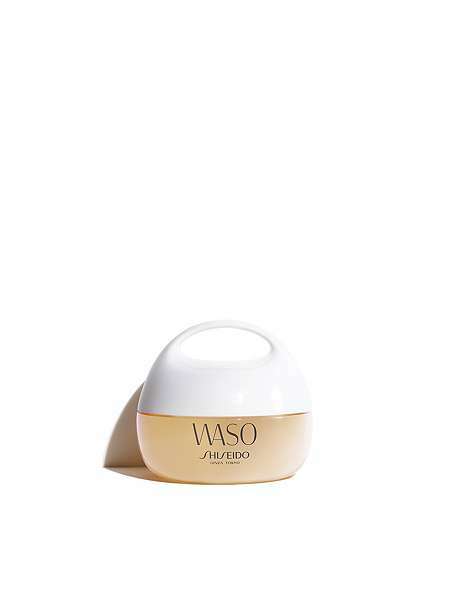 Inspired by Washoku a traditional Japanese cuisine, WASO incorporates exclusive technologies obtained through the latest Shiseido research. In the same manner as Washoku, WASO respects the diversity and richness of nature, to bring out the natural goodness of each and every ingredient. The Clear Mega-hydrating Cream is a specially-formulated, intensely hydrating clear cream with whole carrot cells. Immediately plumps, softens and nourishes your skin throughout the entire day. Apply morning and night after cleanser.